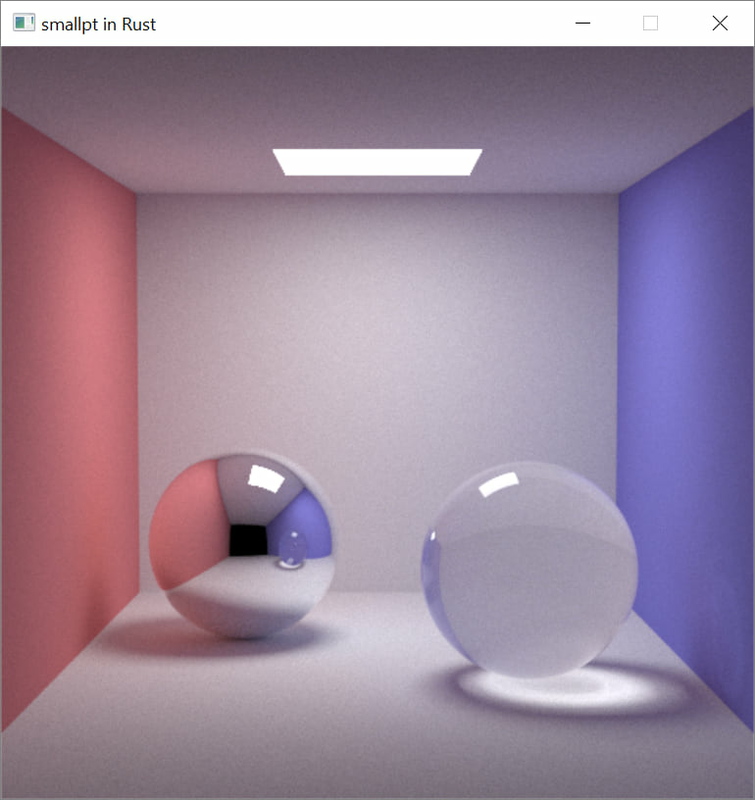 A Rust implementation of a small ray/pathtracer. Inspired by Kevin Beason's educational 99-line raytracer/pathtracer. Code is still quite in flux, being refined on a weekly basis. More simplification and changes coming soon.